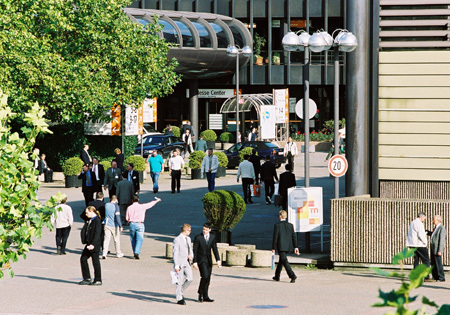 GDS will be held for the last time at the Messe Düsseldorf site from 7 to 9 February. After this the Igedo Company will act, on behalf of Messe Düsseldorf, as the organiser of the shoe trade show. The new concept kicks off at Düsseldorf’s Areal Böhler venue in late August / early September 2017. Over the past few years GDS and tag it! have been elaborately redesigned in close cooperation with the shoe sector. Although there was a great deal of support for the new concept from all sides the expectations made of the new GDS have not been fulfilled. Werner Matthias Dornscheidt, President & CEO at Messe Düsseldorf, attributes this to the changes in the shoe sector: “The sector has radically changed over the past few years and the pace has picked up again. The major event, that GDS has been for over six decades, no longer seems to be the right format for the current challenges within the shoe sector. For this reason we are now taking consistent action with new responsibilities and a new venue. My thanks go to the great GDS and tag it! team headed up by Kirstin Deutelmoser who have been committed to our shoe trade shows with great dedication and many innovative ideas.” Kirstin Deutelmoser also sees switching the footwear trade show to the Igedo Company as an opportunity for the sector: “The market is acting ever more dynamically and requires a completely new solution. This can only be successful if it can be fundamentally rethought without having to take existing structures and traditions into consideration. For this the Igedo Company is the ideal partner. Details on the new shoe trade show will be released by the Igedo Company as part of GDS in February.